In keeping with Christmas traditions, here’s my 2015 list of some of the best short videos I’ve come across to mark Advent & Christmas 2015. Whether it be sharing online, or playing in a Carol Service or assembly, hopefully there’s something here for you. You can also check out my 2013 and 2014 lists. Brilliant one-shot video, but so well thought-out. Glen’s Christmas videos are always top-notch, but the question of the ‘four kinds’ is a great way to get us thinking. We love working out our ‘type’ so I reckon this, alongside the interactive website and book, will be a great conversation starter. A simple but powerful re-make of the popular ‘Man On The Moon’ John Lewis ad, with a heart-warming twist. Also features a ‘Continue the Story’ link, with an accompanying website. Ben Vane from the excellent Christmas Carols Radio unpicks the lyrics of that popular carol, and poetically exposes something of the shock that God would come to that ‘mangy manger’. Dai offers another of his spoken word pieces and seeks to apply the realities of the Christmas story into the realities of the fears that 2015 seems to have been particularly marked by. Fantastic. Clever animation designed to get people re-thinking about Christmas. Comes with accompanying book by Rice Tice & Nate Morgan-Locke. Simple but clever re-telling of the Christmas story through Instagram images. Some stunning visuals, alongside a dramatic narration. Dan has many more short visuals suited for Advent & Christmas on his website. Spoken word piece capturing how God’s coming in Jesus was the fulfilment of a people’s hopes and dreams. A simple spoken reading, but watch ’til then end and you’ll see it’s actually very clever! Disneyesque re-telling of the Christmas story, but still capturing its wonder. Although this is from 2013, I think it has to be one of my favourites. It is sensitive to the fact that for many Christmas is actually a hard time of year. Funny contemporary ‘re-telling’ of Jesus’ birth. What if it had all happened in 2015? Found others that are worth sharing? Please stick them in the comments below! Increasingly many churches and individuals are putting time and energy into making creative film pieces for the Easter season, whether to be played at church services, events, or to be shared online. Here’s a list of 12 that I’ve come across. Clever retelling of the events of Good Friday through imagined live scrolling web-based news reporting. A visual/lyrical/musical feast, from the team at Speak Life, including Guvna B on vocals. Writer Glen Scrivener has also put together a short explanation. Dai Woolridge doing what he does really well. Any video that manages to begin with the line “Consider the egg…” and still stays classy is clearly a good egg, ahem. Dave Crofts cleverly and gently uses something so often bound up with defining Easter as a provoking picture of bigger things. Taking up the theme of Passover and Jesus’ body being broken for us, using a child’s voice and drawings, painting the Bible’ grand-narrative and re-setting Jesus’ death and resurrection within its bigger story. A simple two-minute video, using pictures to accompany someone probing the question as to what Easter is about, before putting forward some of the evidence for Jesus’ resurrection. Short presentation featuring biblical scholars speaking on the reliability of the gospel accounts. Two takes on the same idea, one apparently a ten-year old’s school art homework project, and the other a more in-depth take. Page CXVI reworking a song that captures the heart of the Easter message. Lyric video to accompany an original Easter track. Know of any other videos? Share the love and drop them in the comments below. You may have seen another visually stunning Easter video, called ‘Because He Lives‘, which has been getting quite a lot of online attention at the moment. It’s worth pointing out that this film is actually part of a major social media campaign run by the Church of Jesus Christ of Latter-Day Saints, aka, the Mormons, hence the reason why I’ve not included it. Although the video speaks of Jesus Christ and looks pretty similar to something you might find in a Christian church, once you dig into Mormonism you see that it’s a completely different ball-game to Christianity. Ultimately Mormons have a different understanding of God, of the divine authority and sufficiency of the Bible, and of the power and sufficiency of Jesus’ death. This is a helpful summary article to find out more about these substantial differences, explaining why I think Mormonism is better seen as a 19th century distortion of Christianity (and ultimately a distortion of the goodness of the gospel), rather than a subset within Christianity. Everyone loves a good Carol Service, right? Once that crisp December feeling is in the air, there’s few things more ‘Christmassy’ than trotting off to the local church, with candles out and mince pies warming, and then belting out all the classics: Hark the Herald Angels, O Little Town of Bethlehem, and, of course, O Come All Ye Faithful. Well, now imagine if that carol service experience had been bottled up and condensed into an online radio station! Ok, so you’d need your own tea lights and mince pies, but imagine if, in just the click of a button, you could stream pure unadulterated Christmas into your very own lounge, or have it on in the background whilst you’re on the computer. Thankfully, that dream has now been made a reality by a good mate of mine and all-round-legend, Ben Vane, with the recent launch of Christmas Carols Radio! 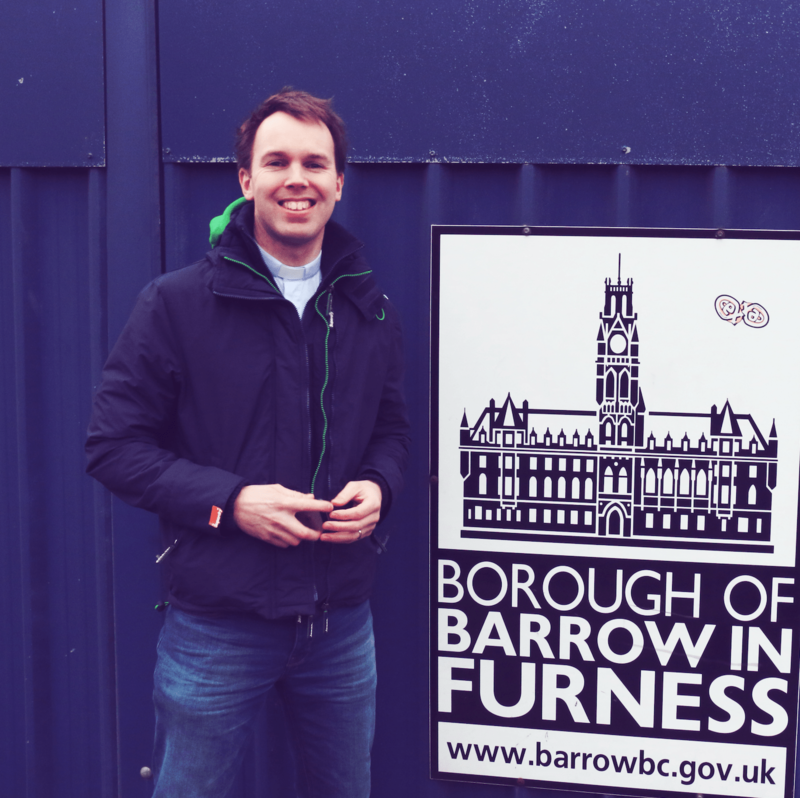 Having previously worked for Capital and Heart FM, Ben set up the station after three years of planning with his wife, as well as the help of his sister, Emma Vane, who is a voice artist and actress working in radio and television. Ben describes Christmas Carols Radio as “like a rolling Carol Service”: back-to-back carols, intermingled with occasional Bible readings from the Christmas nativity story (courtesy of Emma) and short reflections (courtesy of Ben, combining his vicar-training and love for radio!). And thankfully it is totally free to stream. Listen to Christmas Carols using the button below, and why not share it with your friends and loved ones this Christmas too. You could even have it on in the background whilst you’re unwrapping presents and tucking into the turkey! Ben also manages to present on Premier Radio in his spare time, running their Hope in the Night show.